In this article from the Burlington Free Press entitled Music Classes Fuel Society’s Need for Creativity, the article’s author and jazz educator Bruce Sklar echoes many of the themes stated here repeatedly regarding the role of music education in preparing students for the workplace (I guess everyone enjoys a little validation every once in a while!). In the piece, Bruce and others observe that musicians have the ability to “Synthesize new ideas from existing materials or data” and develop skills that are needed in the 21st century. Musicians are quick on their feet and have the ability to improvise. Music education helps develop Discipline, Teamwork, and Leadership (3 of the 9 Lessons from music education that we identified in Everything We Needed to Know About Business, We Learned Playing Music). 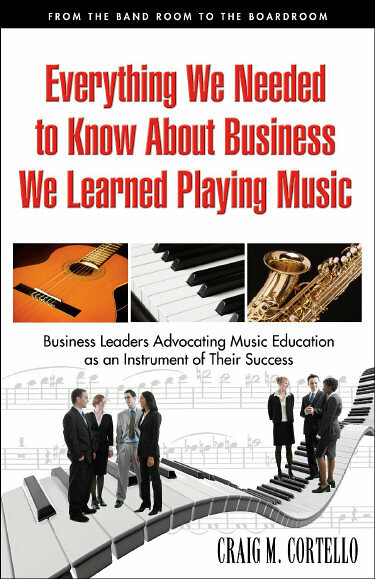 My book Everything We Needed to Know About Business, We Learned Playing Music is now available for viewing or download at Google Docs (.pdf file). Please spread the word to music students, educators, and music education/arts advocates. The reality for music students is that they will either pursue music/music education as a profession (in which case they will have the need to articulate the importance of music education) or they will enter the workforce outside of music (in which case they will have to articulate to a prospective employer the benefits of music education that are universally applicable in the workplace). This compilation of interviews with 32 CEOs and business leaders who played music as a child or adolescent is a great resource in either of those efforts. Link to music teacher/student reunion picnic blog post. “…our schools should aim to develop students as people, not just job-fillers for today’s marketplace mindset. As many scholars have insisted in different words, education is for life: education ought to be conceived for life as a whole, not just for one aspect of life, such as work…In summary, music education is a unique and major source of many fundamental life goals. By actively supporting the aims of music education, school systems increase the likelihood that students will learn to make a life as well as a living both inside and outside school. “…public school systems in most countries are becoming more and more focused on “testing” students in a narrow range of “academic” subjects using mechanistic measurement devices. Why? Many scholars suggest that this movement (sometimes called “Educational Reform”) is part of a global effort by corporations and “marketplace educators” to shape and “manage” schools according to the needs and values of “marketplace capitalism.” (This is an old story tracing back to the industrial model of the “school-as-factory” that exists to produce future factory workers). Educators have always been under pressure from the business world to devote more time and resources to the production of students-as-job-fillers by means of academic-vocational studies alone. This pressure has become more intense in the last fifteen years with the advance of globalization, which requires “standardization” in all realms of life, including schooling. Clearly, however, corporate leaders and marketplace educators are not concerned (at all) with enabling our students to make a life as well as a living. I applaud these noble objectives. I also believe that the generalization that corporate leaders and marketplace educators are not concerned (at all) with enabling our students to make a life as well as a living is overstated. There is a school of thought gaining acceptance that the successful corporations of the future will be those that attract the brightest minds by creating an environment dedicated to employee values. But I also believe that we’ll never change all of the minds of those that pull the strings on educational resource allocation, and therefore we must sell to them on their own terms. In other words, by arguing that music education provides a foundation for both a life of fulfillment and for success in 21st century careers, we are equipped to make the case for music education that will compel those of either mindset. In a conversation that I had with Richard Baker, Fine Arts Program Coordinator at the Louisiana Department of Education he wholeheartedly concurred. “We must argue it both ways,” he stated. As I’ve articualated here previously, “We should be able to justify arts on their own merits – in an ideal world. Here on the planet earth, it’s not working. Essentially, legislators and administrators believe that when forced to choose between worthwhile priorities, the most essential function of education is to prepare students for their careers. Art for art’s sake is an argument that essentially frames the music education funding discussion in this way for legislators and administrators – Do I fund programs that are necessary or those that are a luxury in the context of preparing students for the “real world?” Math and reading are seen as essential in any vocation, music only for the aspiring musician. 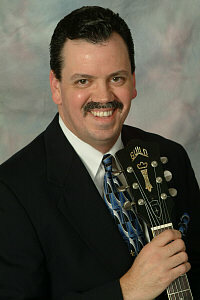 To read the entire text of David Elliott’s article at the ISME website, click here.